Scottish cattle keepers are being reminded by NFU Scotland that flexibilities built into Scotland’s Bovine Viral Diarrhoea (BVD) eradication scheme can assist movements. Phase 4 of the Scottish BVD eradication started on 1 June 2015 and brought movement restrictions for any cattle holdings with a ‘not negative’ status, or holdings that have no valid annual herd status recorded. In herds with a ‘not negative’ status, animals will need to be individually tested before moving – unless that move is direct to slaughter. Untested animals and known Persistently Infected (PI) animals will only be permitted to move direct to slaughter, not through a market. NFU Scotland is reminding producers that, to reduce the level of individual testing of animals required, some ‘assumed’ statuses will be applied. It will allow some animals to still move as if they had an individual test result. As an example, when a calf is individually tested negative for BVD virus, an ‘assumed’ negative status will also be applied to that calf’s mother on the BVD data base allowing her to move as if she had also been individually tested negative. Also, an individual negative test status does not ‘expire’ so a calf tested at birth will retain that status and will not require retesting prior to sale. At the same time, when a cow is individually tested positive for BVD virus and identified as a PI animal, any of her offspring will also be assumed to PI animals, marked as such on the database and restricted to moving direct to slaughter. “As we negotiate this latest phase on Scotland’s plan to eradicate the scourge of BVD from our cattle, these ‘assumed’ flexibilities can assist movements and help with the number of individual animals requiring testing. “Assumed statuses are based on knowledge of the veterinary epidemiology of BVD. A PI cow will only ever have a PI calf, so it can safely be assumed that any calves born to a PI will also be PI animals. “Similarly a BVD-negative calf cannot be born from a PI dam, so it can be assumed that the mother of a negative calf must also be negative, assuming the dam has been accurately identified. 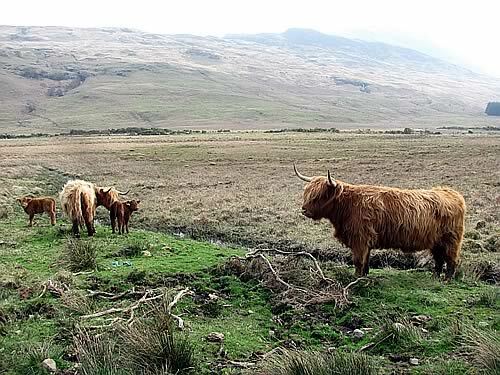 “The BVD database at www.scoteid.com will show the individual test results for any animals that a cattle keeper has tested and will also apply assumed statuses where applicable. Could IBR be Reducing Performance and Fertility in Your Herd?